-I checked out recipes before heading out and only bought what I needed for these meals and for weekly snacks. 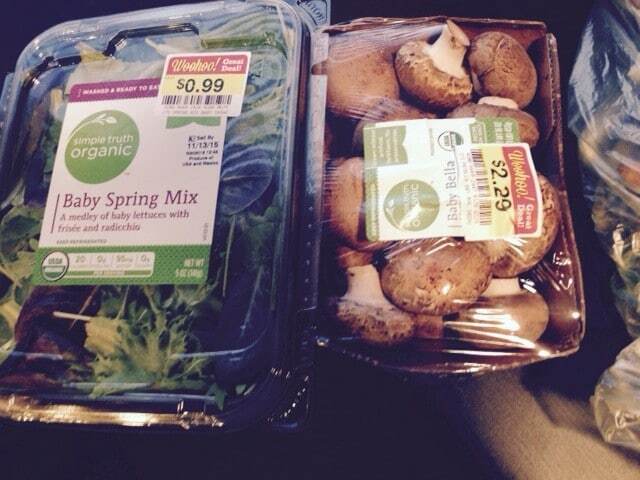 -I found 5 packages of organic meat with expiration dates 2 days out so I asked for a markdown at the meat counter. I usually don’t have a problem getting them to mark items down, but ran into an employee in a bad mood that didn’t want to mark them down. I asked for a manager and she was happy to mark them down for me. I got 3 packages of organic, 100% grass fed ground beef for $5.99 lb. (reg. 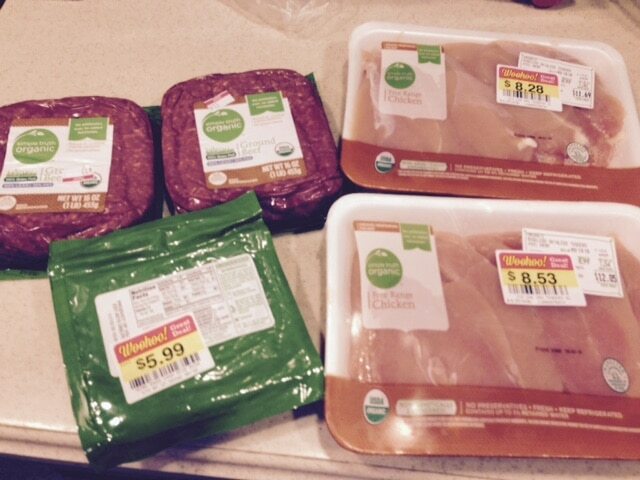 $7.99) and 2 packages of organic chicken tenders for $6.37 lb. (reg. $8.99). I saved $13 this way. 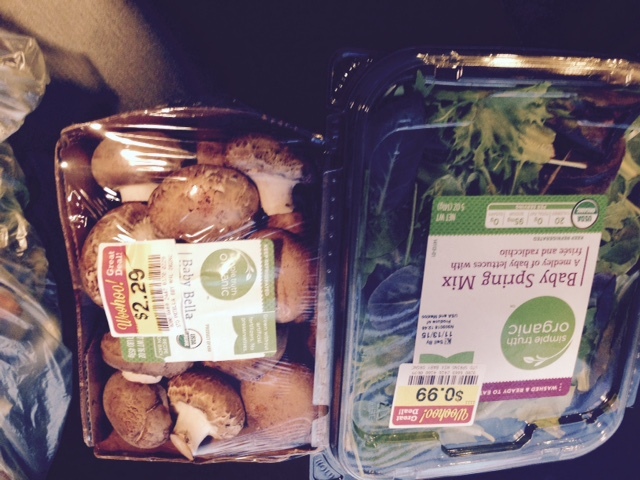 – I downloaded the app to my local health food store and used a $5 off $50 coupon found there. – Onions were on sale for $1.99 for a 3 lb. bag. I only needed 2 onions for my recipe, but the price for loose onions was $1.69 lb, so I came out ahead and I’ll use up the onions by the time they go bad. – I saved $10 by clipping digital coupons and loading them to my Kroger card. 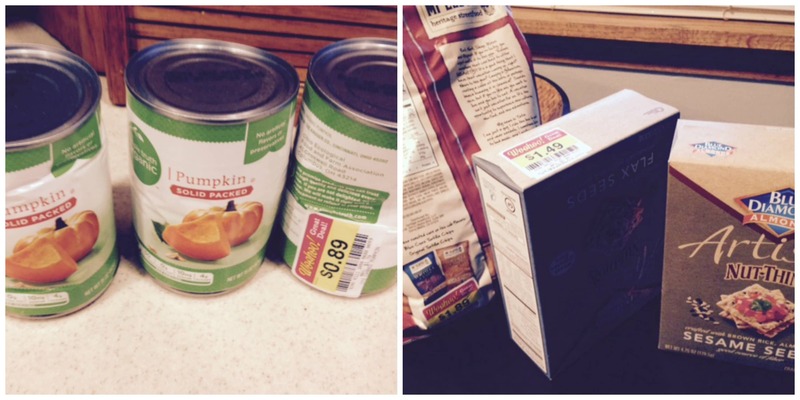 – I found organic canned pumpkin cans marked down to $.89 due dents, so I grabbed 3. They don’t expire until 2017, so I’ll definitely use them by then. – I saved over $50 by buying items on sale. How about you? How did you save this week?